South Africa is not the only country going to the polls in 2019. This year will be an important year for the African continent which will see more than 20 countries voting in either presidential, parliamentary or local elections. The European Union (EU) will also hold a parliamentary election this year, which will be interesting considering recent developments with BrexitÂ and the rise of populism. Here are some of the countries who are preparing for elections this year. Out of its 190 million citizens, a staggering 60% of Nigerians were born after 1990. However, most of the countryâ€™s top politicians were born before the countryâ€™s independence in 1960. The Ready to Run campaign is supporting young people to occupy seats in the federal and state legislatures. The campaign follows from the Not Too Young to Run campaign, which helped convince 75-year-old President Muhammadu Buhari sign a law lowering the age requirement for presidential candidates. Buhari will seek a second four-year term against his 72-year-old rival and former vice president Atiku Abubakar. This might be difficult with his poor economic record and failure to quell extremist group Boko Haram. With over 50% of Nigerians online, the president also has to tackle viral misinformation. This includes widespread allegations he is actually dead and has been replaced by a clone from Sudan. Buhari refuted that theory in December before an audience. All eyes will be on Hindu nationalist party Bharatiya Janata Party (BJP) and its leader Prime Minister Narendra Modi as the worldâ€™s largest democracy is expected to vote between April and May. Most opinion polls indicate that Modi will remain in power. However, there is rising discontent among Indians – especially farmers – over living costs, the healthcare system, and the violence instigated in the name of Hindu nationalism. This was indicated by the way the BJP suffered three unexpected losses in state elections in December.Â Whether this signals real gains for opposition parties like the Indian National Congress Party remains to be seen. Amid talks of the European Unionâ€™s (EU) collapse, EU citizens will cast their votes for their representatives in European Parliament (EP). Considering that the United Kingdom is (probably) leaving the EU in March, the EP will have fewer seats in 2019: 705 and not 751.Â The EP is one of the weaker EU institutions but it does decide on the ultimate power: the new president of the European Commission. This will be an important election considering that populist, anti-EU parties are on the rise in countries like Germany, the Netherlands, Italy, and Poland since the last EU-wide election in 2014. Our neighbouring African state will hold presidential, parliamentary, and local elections in May.Â Seeking a second term in office, president Peter Mutharika’s ruling Democratic Progressive Party is accused of nepotism and corruption. A leaked report from Malawiâ€™s Anti-Corruption Bureau accused the president of receiving a $195 000 (R2.7m) bribe from a contractor tasked with supplying $4m (R55m) worth of supplies to the countryâ€™s police. Mutharika has denied accusations. The main opposition is made up of Mutharikaâ€™s own former vice president Saulos Chilima, whom he sacked in November and ex-president and leader of the Peopleâ€™s Party Joyce Banda. President Filipe Nyusi of the ruling Mozambique Liberation Front (Frelimo) is contesting a second term in the elections in October. 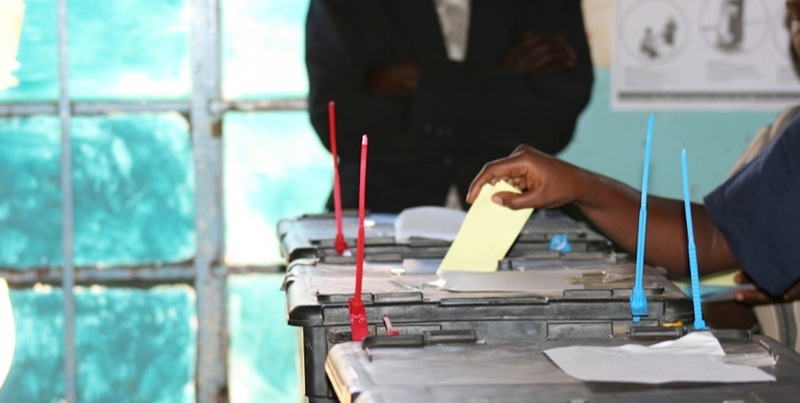 Mozambique will hold presidential, legislative and provincial elections. The country is riddled with debt and power imbalances. Islamist groups are fighting for power in the north â€” where the militant Mozambican National Resistance (Renamo) opposition is based and supported. This election comes amid peace talks between Frelimo and Renamo after a 16-year civil war that ended in 1992. The Mozambican election also comes as country prepares to start exporting valuable liquefied natural gas from newly-discovered huge offshore fields. Like with most southern African countries, Botswanaâ€™s liberation party the Botswana Democratic Party (BDP) has been in power since 1966. With its current politically legitimate succession plan in place, itâ€™s highly unlikely that this will change. It works like this: the presidential term ends over a year before the national election, so a new president is elected by parliament before the popular vote takes place. This gives the BDPâ€™s presidential candidate, current president Mokgweetsi Masisi, an almost guaranteed lead. Land is a topical issue in the upcoming Namibian general election. Like South Africa, Namibia announced its intentions to begin a land reform process last year. Itâ€™s an important issue and a symbol of slow economic transformation as white Namibians, who make up less than 10% of the population, own 70% of commercial farmland. Namibian President Hage Geingob and the ruling South West African Peopleâ€™s Organisation (Swapo) seek re-election despite that Swapo has not followed through on reforms designed to help Namibians who are poorer. However,opposition parties hardly stand a chance to unseat Swapo.